This report is written at the request of the commission to understand the values and benefits as well as the struggles that are seen inside the NFL by the players as they try to use medical marijuana for medical reasons for their ailments. As the writer, I will gather information on both sides of the argument to see why medical marijuana is not allowed and why the players so value it. By the end of this report, I will prove the argument for medical marijuana in the NFL just as it is needed by every day citizens elsewhere. In the National Football League, it has been long known that all performance enhancing drugs are banned and if you are caught using them then you will be subject to the drug policy in place that will lead to suspension and/or termination of your contract as negotiated between the owners and the NFLPA or the Players Association at the last contract signing. But where did that leave marijuana which is neither a performance enhancing drug nor a body numbing drug to make a player play through pain to continue during a game when they should not be able to play. It is a banned substance as a recreational drug and if you do not violate the substance abuse policy, you will be tested for marijuana once a year randomly between the months of April and August during the NFL’s off-season per your player’s contract agreement. The owners and the players have two very different views on the way marijuana should be handled by the National Football League. The owners elected Roger Goodell to be the commissioner as a go between to here grievances in cases with players and owners and things of just like this and other matters. In the recent past, Roger Goodell has not been seen to have acted fairly in the interest of the players to many but only in the interest of the league and has turned a blind eye to the facts that have been shown to him and the public. The NFL does not release the results of drug tests so the actual number of players of use marijuana has not been published and players who have never violated the league’s substance abuse policy are tested for recreational drugs like marijuana only once a year between April and August. The players see marijuana as a savings grace in some cases and some see it as an addictive waste of time depending on who you ask. Owners see it as mind wasting and slowing down the talent of the players they are paying to it saving them millions from burning out the players from mental injuries of opioid addictions and withdrawals. There are doctors on both sides of this debate. The NFL has indicated that they want to do further studying of marijuana now that it is creating a media storm giving the NFL a black eye. The last thing the NFL wants is more negative attention. 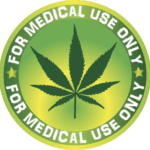 Everywhere across the nation medical marijuana is being seen as helping more and more with different medical conditions. In each of the last elections medical marijuana and in even some elections recreational marijuana has been voted into approval for states changing the way the laws in those states operate and have operated in the past. The NFL will have to get on board with the way the nation is trending or lose sight of business. Business waits for no man as the saying goes. The NFL is no exception and Roger Goodell needs to heed the warning of the society changing to the acceptance of medical marijuana nationwide. His advertising team is hearing this and has gotten a research team together to look into medical marijuana and study the impact it will have on the game. The players feel, that because they have teams in states where it is statewide legal for medically legal marijuana, in a few of states such as in Colorado, Washington, and even the District of Columbia where the Washington Redskins play and in Denver and Seattle, which are the homes of the Denver Broncos and the Seattle Seahawks respectively, they should be able to use marijuana as the state laws allow it to be used without penalty. In other states that it is not recreationally legal but medically legal for example now there are 23 teams that are in states where it is legal plus the District of Columbia and that is a total of 1,219 active roster players not to mention the practice squads and the non-roster invitees that come in each pre-season. That total can easily run up to 2,070. There are the free agents that are not on any team and the retirees from football which can bring that total even higher. All in all, there are thousands of players involved over the years from the NFL and from the sport of football in general that could benefit from the usage of medical marijuana and from what the NFL does with a ruling or changing of its ruling on medical marijuana. 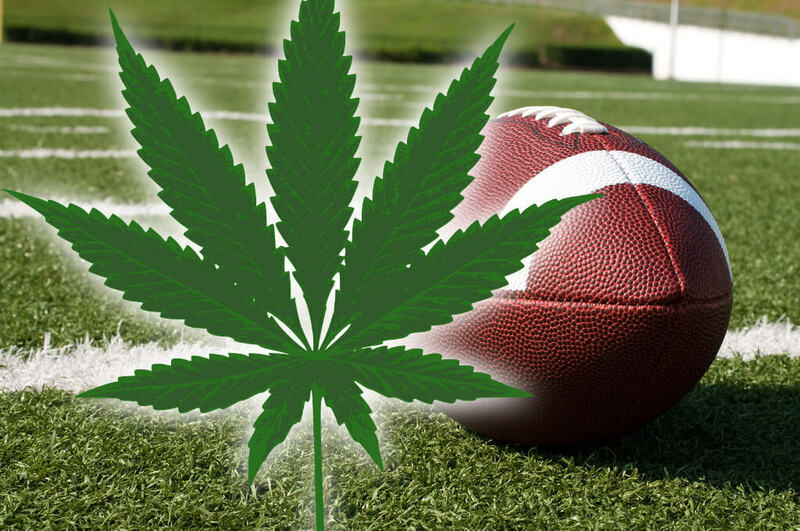 The players agree it would cut down on their usage of opioids and drinking and other excessive behaviors that if medical marijuana were available to them, they would use instead. In the Bleacher Report done in June of 2015 done on a very rough survey and done on by no means a scientific study, their calculations of the 1,700 players in the league at the time had calculated an estimated 850 or more were using marijuana for some sort of pain relief during the season and also during the off-season. In November of 2016, Buffalo Bills offensive tackle Seantrel Henderson was suspended for 10 games with his second violation of the league’s substance abuse policy. This time though he had a prescription for medical marijuana for his Crohn’s disease. Even with a legal prescription, the NFL did not allow it because it is in violation with its current substance abuse policy. The league stated there is zero allowable medical exemptions for the substance abuse policy, however, there seems to clearly need to be exemptions made now that the laws across the nation have changed. In letters to the NFL from the NFLPA, they asked for data on how teams are distributing painkillers to players, but the NFL refused to give them this data. 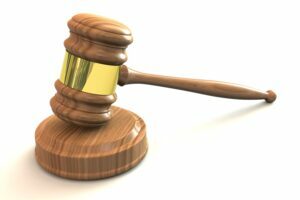 The player’s union stated it will file a grievance over this and it may to litigation in the federal courts. NFLPA executive director DeMaurice Smith in February of 2017 said that the union was examining cannabis and its potential use as an alternative pain reliever for players “comprehensively” with the hope of presenting to the union’s board and later to the NFL a proposal to alter the drug policy. The NFLPA recently formed a pain management committee within the Mackey-White committee, which is tasked to study how players handle pain from NFL related injuries and how it could be better managed. From there he said a proposal for changes to the current substance-abuse policy will be presented to the NFL. The owners of the NFL teams are in the middle of the legalities between the players and the league when it comes to the policies and the disciplinary actions that are handed down from the commissioner. It is true that the owners voted in Roger Goodell to lay down the law so to speak but the discipline has set guidelines for him to follow that was agreed to by both the players and the owners. It really has little to do with Roger Goodell. He is the one that hands down the punishment though. The owners have allowed for the random drug testing of players for substances like performance enhancing drugs and any other drugs that may not be legal. They do want their players to perform at their highest abilities possible always. They also have allowed for the recreational testing in the off-season for marijuana. They need to be involved in the changes if there are to be changes on the substance abuse issues. Jerry Jones, the owner of the Dallas Cowboys has expressed interest in loosening the ban in marijuana. He also has the league’s new chief medical officer Allen Sills interested in researching how marijuana can benefit the players to manage their pain. If this is done it could help maybe to change the policies when the next contract is due to be negotiated in 2020. Outside of what Jerry Jones has spoken, only Houston Texan owner, Bob McNair has even stated anything publicly about marijuana and his statement was in 2012 to the Houston Chronicle when he said there were some types of players he would not tolerate on the Texans such as someone who is a habitual user of drugs. He elaborated on that statement saying “if there’s been substance abuse, that can become a habit with them, I am not talking about someone who smoked marijuana. I am talking about someone a persistent user of drugs. We take them off of the list.” The marijuana usage could be seen as McNair endorsing marijuana usage in the sport at the time. McNair has not spoken publicly of it since that time. Roger Goodell has been unwavering in his stance against marijuana. He has been against the schedule I drug that is federally banned but legal in many states nationwide. Goodell has been interviewed about this issue as recent as August where now he seems to have softened his hard-line stance some but still has zero tolerance. He first was on Mike and Mike in the morning a sports talk show on the network ESPN. There he said that the league sees no medical benefits of marijuana and that marijuana may not be good for player’s health in the long term either. Advocates have suggested that marijuana could be a healthier way to manage pain than prescription painkillers, but Goodell continued to quote the independent medical advisers saying that the league is following their advice who have not recommended marijuana for medical uses. “We’ve been studying that through our advisers and to date, they haven’t said ‘This is the change I think you should make that is in the best interest of the health and safety of our players’ if they do, we’re certainly going to consider that. But to date they haven’t really said that.” Goodell also went on to add that “medical marijuana is something that is evolving. And is something that at some point the medical advisers may come to us and say, ‘This is something to consider.’ “. Goodell’s comments in April suggested the league had no intentions of making any changes to the current policy. At the end of July, the NFL released a statement saying that they had written to the NFLPA offering to work in tandem with them to study the potential use of marijuana as a pain management tool for players. The NFLPA has been conducting its own study since January which the NFL did not want to be part of when the NFLPA had asked for information on the amount of prescription pain pills were being given to players, but the league refused citing patient client confidentiality when the players were agreeing to let the information be gathered for the study. When the league refused to give the NFLPA the information, they went ahead and did a study on their own. Now, the NFL is offering to work with them together, but the many players feel it is a little too late and it is just trying to save face in the light of litigation it faces coming up. Goodell then spoke again on August 3rd at the Broncos’ headquarters in Denver, Colorado at a fan forum with Broncos’ President of Football Operations/General Manager John Elway, the voice of the Denver Broncos, Dave Logan and long time Broncos legend Steve Atwater were with Roger Goodell when he addressed the fans about medical marijuana and its potential to treating football-related injuries. He stated that the league is interested in researching the issue further and that it is a medical issue. It seems now that the NFLPA has started to do research on its own ahead of the NFL on marijuana and the owners are not saying anything at all publicly about marijuana. Roger Goodell is now finally starting to research marijuana as a medical possibility instead of pain killers if the medical community allows it. These studies that are being done by both the NFLPA and the NFL could make a significant impact to player’s health, safety, and well-being in the future. This isn’t a change to the current policy or even a statement that there will definitely be changes to the next policy, but this is definitely steps in the right direction for medical marijuana. The players that need it will have it more readily available to them if the medical community is not afraid to move forward with testing and research. 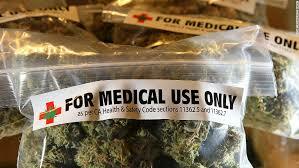 Hopefully, if all goes well, in the next bargaining agreement between the NFLPA and the NFL and the owners there can be a change made for the better towards medical marijuana and allowing it for the health and safety of the players of the NFL. Previous: Previous post: MEDICATED FOR YOUR PROTECTION!